Annual administrative action represents increase over recent transfers. LONG BEACH — The city of Long Beach approved a budget transfer of nearly $20 million for tidelands operations on Sept. 4, up from $18.6 million last year and the $17 million range between 2014 and 2016. Long Beach’s Tidelands Operations Fund will receive $19,959,950 from the city’s Harbor Department, based upon the latter’s audited financial statements for Fiscal Year 2018. The Harbor Department’s gross operating revenues determine the amount transferred; the Tidelands Operations Fund specifically receives five percent of those revenues each year. Long Beach’s city charter mandates the transfer of funds from the Harbor Department to Tidelands Operations Fund. This year’s transfer is more than $1 million more than last year’s approved transaction – the highest jump in at least the past five years. Last year’s transferred amount was $18,661,550; the Tidelands Operations Fund also received $17,772,000 in 2016, $17,737,000 in 2015 and $17,300,000 in 2014. City officials rely upon the Tidelands Operations Fund to help pay for various aspect of Long Beach’s waterways and beaches. police, fire and lifeguards, beach maintenance, lease management, parking operations and other support functions. “The sources of revenue for the Tidelands Operations Fund are varied, including revenue from the city’s participation in Tidelands oil operations, parking revenues in the Tidelands areas and the annual transfer from the Harbor Fund,’ city staff continued. 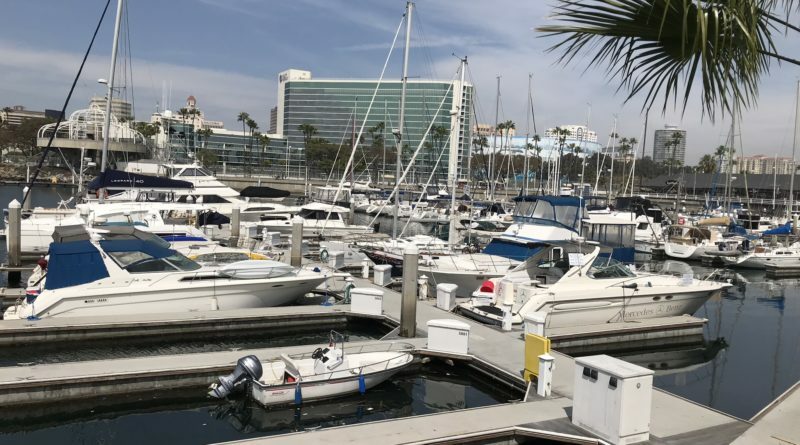 Maintenance and development of city marinas and the Rainbow Harbor area are funded by Long Beach’s Tideland Area Funds. Its “Marina Fund” is supported by slip fee rentals for recreational boats, among other sources. “Sources of Tidelands Operations Fund revenue include permit fees and rents from various waterfront concessions; Convention Center and Hyatt leases; The Aquarium of the Pacific; Queen Mary rent; parking revenue from beach lots, transfers from the Harbor Fund and from the Tideland Oil Revenue Fund’s Optimized Waterflood Program,” city staff stated in an official document on Long Beach funds. Funding for the Rainbow Harbor Area Fund comes from dock rentals, Pierpoint Landing’s lease and transfers from the Tidelands Operations Fund. The Long Beach City Council approved the fund transfer by a unanimous 9-0 vote. Council members voted on multiple budget items at their Sept. 4 meeting.